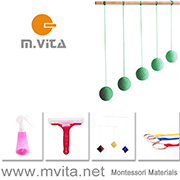 Have you ever thought about using a Montessori at home consultant? There are a couple of companies that offer a variety of services from short term to long term support for not only Montessori in the home but also for general parenting. Leanne from The Prepared Environment has been a sponsor of the blog for a few months now however I know very little about her services. Time for some questions I think. If you don't have time to read make sure you take a look at these super cute pictures! First can you tell me a little about your business. I understand you run workshops and consult privately with families? Yes! The Prepared Environment helps to create a shared home that supports the holistic development of families. Parents are a child's first teachers and guides for life. Preparing the home environment to create a calm, loving, and supportive space can help parents to guide their children to be engaged, independent, and have a sense of ownership in the family. The Prepared Environment offers project and information sessions that vary by age, and ongoing support through email and phone. Depending on the family’s goals, we often work together to set up a space in their home including maintenance plans, observational techniques, adult behaviours, and developmental expectations. 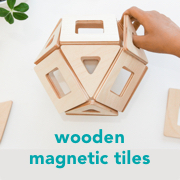 We offer local workshops about Montessori in the home. You cover a wide range of topics including setting up the first bedroom, toileting, setting up the kitchen for independence and conflict and communication. Which services are most popular, in which areas are parents reaching out for help the most? Parents are often overwhelmed with conflicting advice and information about raising children family members, schools, and the internet. They want reassurance that they are doing the “right” thing and not missing out on a critical aspect of their child's development. Helping to set up the family kitchen is by far the most popular project, and one that makes a huge impact in the home. A few small, simple changes can go a long way to making everyone's day go smoother! You are based in Baltimore although with the use of technology I assume you could help parents around the world? Yes, I have worked with families from all over the world! The internet has made it possible for me to meet families when it works for them in their home without having to travel. I use Skype or another video program on a portable device to see the family's home and layout, as well as to get a sense of the family's interactions. It has been wonderful to see how Montessori is implemented in homes in different countries! I always love to hear how and when people were first drawn to Montessori. What is it about Montessori that first interested you? That's a great story, and it was really by pure luck I stumbled into Montessori in the first place. I was completing my student teaching for my undergrad in (public) early childhood education, and I realized that the third graders I was trying to teach fractions to couldn't read the textbook, and so couldn't do the assignment. However, I was so constrained by the lesson plans that I couldn't take the time to teach them the skills they so desperately needed. I realized that mainstream public education wasn't going to let me teach in a way that allowed every child to learn. I went looking for options, and the first place I visited was a small Montessori school down the street. I remember being invited in for an observation (what is that?) and being in awe of the small children moving about and working peacefully and purposefully. I couldn't even find the adults at first! I ended up taking a job in that room as an assistant, and by October had signed up for AMI (Association Montessori International) training. Montessori resonates with me on several levels: its scientific approach, respect for the child, flexibility to meet each child where they are, the core values of peace and community, the emphasis on beauty, creativity, and curiosity, and the added benefit that I get to create small, beautiful activities and objects for children. What is the one piece of advice you would give to a new parent wanting to follow Montessori principles in the home? Parenting is hard, children are unique, and nothing will be a magic “how-to manual” (if it claims to be, be skeptical). Montessori is a wonderful, time-tested approach, and there are plenty of ways to apply it to your family. Research trusted Montessori literature to understand and prepare for your child's stages of development. Investing a little time in preparing your home for your child can make life easier and more enjoyable for the entire family. Allow time for your child to work at her own pace as much as possible. Take advantage of all the support available to you – it really does take a village to raise a child. Most of all, observe your child and respond to the need behind the behaviour in a developmentally appropriate way. Thank you Leanne for taking the time to answer my questions. I am a little envious that you are able to peak into the homes of so many Montessori families. The Prepared Environment can also be found on Facebook and Etsy. You can sign up to The Prepared Environment newsletter for specials and updates here. As a special to our readers Leanne is offering 15% off her services booked before September 30, 2013. Mention this post at the time of booking.